Call us on 01925 730123 to find out how we can help you. You might think you’re spoilt for choice because our clinic offers such a wide range of treatments – but we don’t want you to feel overwhelmed. 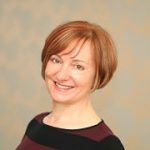 Tracey, our Clinic Director is more than happy to spend time discussing your requirements and can offer a personalised treatment plan just for you. Choose an individual treatment or therapy, or perhaps one of our treatment programs, combining several therapies for maximum benefit. At Cheshire Natural Health you have unique access not only to the very best in complementary therapies but also to conventional medicine – because we believe that the best forms of healthcare combine the wisdom of natural therapies with advances in modern medicine. From the moment you step into our calming and welcoming reception, you will be made to feel at ease. All of our therapists are qualified to internationally recognised standards. You can rely on our expertise in helping you decide not only the best therapy but also the most appropriate therapist to match your needs. Here, under one roof, we have brought together some of the most experienced and highly qualified therapists and specialists in the North West. So you can relax, knowing that your problem will be assessed quickly and treated effectively, enabling you to enjoy optimum health and wellbeing in the future. All of our therapists are qualified to internationally recognised standards and are specialists in their particular field. What’s more, many of our therapists have featured regularly on BBC Radio and Channel M TV. Cheshire Natural Health has also been featured in the Liverpool Echo, Warrington Guardian, Top Sante, Zest, Sunday Express Magazine and Healthy Magazine (Holland and Barrett). Most of our therapists accept card payments but please confirm before attending. Prices may be subject to change without notice. Read what our patients say about us…. Free informal & no-obligation consultations to find exactly the right treatment for you. Our gift vouchers are an ideal present and can be used in exchange for any of our treatments. “I came to see Laura in a state of desperation. After 3 major hip operations, I have been left with extensive, internal scar tissue which was causing considerable problems with pain and mobility. I initially had 1 hour treatments every 3 weeks and then progressed to my current state of sports massage every other month, interspersed with reflexology on the alternate month. I now have my life back and that is no exaggeration. I am playing badminton again, I can tolerate long car journeys comfortably, I can walk without a limp and I am no longer on daily anti-inflammatory medication. Family, friends and colleagues have all noticed a significant change in me. Laura is a very skilled and diligent practitioner. This is no easy, relaxing massage but a truly effective treatment for musculoskeletal problems. Persevere with the first few sessions which are uncomfortable – it is definitely worth it. I can highly recommend Laura’s sports massage- worth every penny.” –Kind Regards, Alison.